IDF raises the debate on The Telegraph Report On 16th May Titled ‘Plan for nuclear-driven carrier with US help’ datelined Goa, May 15. 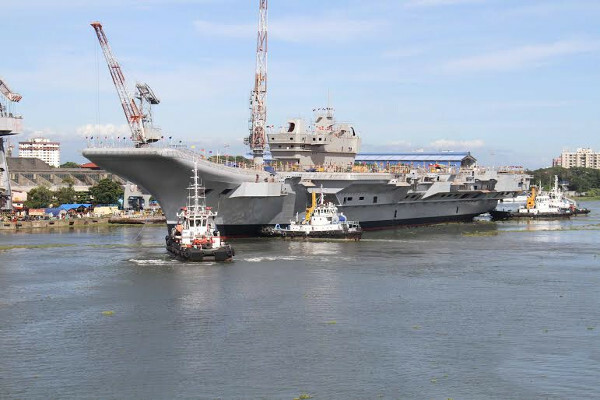 The Telgraph states that India’s Navy has all but finalised plans for a nuclear-powered super-aircraft carrier, which is scheduled to be built in Kochi with US help. In the script down the line the paper states Navy (Cochin Shipyard Ltd) is building blocks for the design though the design is not ready yet to the best of IDF knowledge as a lot will depend on the type of aircraft that will be flown off the deck of Vishal. And paper later adds, “The Navy chief (Adm RK Dhowan on his farewell visits after a very successful tenure . 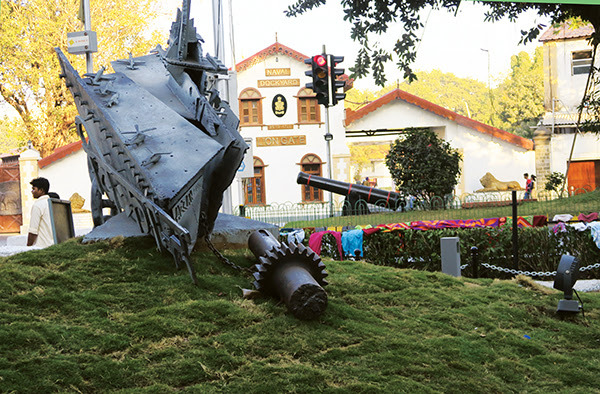 and who demits office on 31st May to hand over to Admiral Sunil Lanba ) said in Goa earlier this week that the Government was yet to freeze the design and specifications for the Vishal”. On this one line IDF doubts how authentic the Telegraph’s premature information is. Indian media is not as trust worthy in its defence reporting, and more sensational, as media is tending to be, world over to sell and IDF does not blame the reporter. 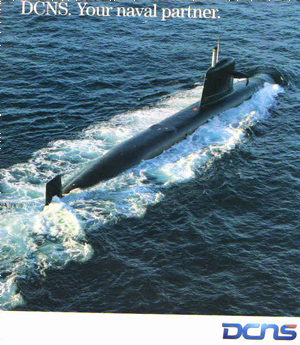 Also paper adds, “In the Arihant (the Indian nuclear submarine now in sea trials) we have gained, with some Russian help, the ability to develop a reactor for our purpose. 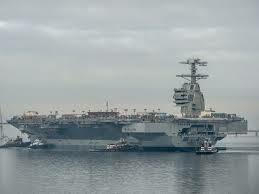 BARC is confident that it can build for the carrier too,” the officer said. I would rather trust a report in the Hindu as it does very little kite flying.! The paper adds . In preparation for the long-gestation project, estimated for the year 2028, the navy is setting up the building blocks that will identify the aircraft to be based on the carrier, called the Vishal (to be pre-fixed with “INS” on commissioning). Comment. It is interesting Navy is not doing SWOT analysis for a ship due in 2028 and may be it is to ensure the planners have some trips to USA or Japan as a large sum has been sanctioned by the Defence Acquisition Council (DAC). The design team and engineers must visit US aircraft carriers and others so this may be to trap Telegraph to assist. May be USA will sell India aircraft carrier nuclear reactors and HEU, but that could be in the confidential regime BJP subscribes to. Nuclear energy enables a carrier to sail for months without needing to dock for refuelling. The navy wants a nuclear-powered carrier for “longer sea legs”, to enhance its reach beyond territorial waters. It has determined that the carrier will need a nuclear reactor generating 180MW for propulsion, and may go for two reactors of 90MW each. Talks with the Bhabha Atomic Research Centre (Barc) are at an advanced stage. Comment. All the above is true and accurate and Navy is in constant touch with BARC for its nuclear submarines, the fuel complex at SBC Vishakhapatnam and the fuel complex for reactor fuel pellets being set up at Rambilli 130 km South of Vishakhapatnam at the new base being built by DGNP (V) mainly as a nuclear submarine base. The Vishal is being designed to be between 60,000 and 70,000 tonnes. (India’s first carrier, the INS Vikrant, displaced 18,000 tonnes. The second, soon-to-be decommissioned INS Viraat, 24,000 The navy has bolstered its case for a nuclear-powered carrier by citing the nuclear deals India has signed not only with the US but also with Japan and Germany, albeit for peaceful uses of nuclear technology. The navy had invited preliminary inquiries from foreign entities for the design and development of the Vishal: DCNS of France, Rosoboronexport of Russia, Lockheed Martin of the US. Within the top brass, however, there is now a congealing of opinion that the US option may be the one to go after. War and peace are two sides of a coin that need constant attention for a nation like India seeking world power status. 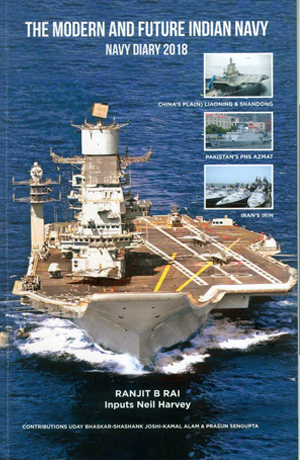 Modern war fighting doctrines and systems will also need to be incorporated in India’s marine infrastructure ashore, propulsion, shipbuilding and weapons both for peacetime as required for Humanitarian Assistance and Disaster Relief (HADR) and Flag showing, interoperability with modularity and combat capability to deter wars and fight and win future wars. Although at present the notion of an ‘all out war’ remains remote in the Indian context, the South Asian region hosts three nuclear powers with Iran desirous of joining, and terrorism from Pakistan and Islamic State of the Levant (ISIL) is unabated. India harbours ambitions in the Indian Ocean Region (IOR) as the Net Security Provider and the Government has mandated India and its Navy to be the capable of protecting the strategic vision of USA and India in the Asia-Pacific and ensure freedom of navigation as per UNCLOS 1982. Fifty warships including six conventional Scorpenes with first Kalvari on sea trials and three nuclear submarines with nuclear tipped missiles are on order by the Navy and seventy five platforms and aerial assets for the Coast Guard in Indian yards and two Deep Submersible Rescue Vessels (DSRVs) from Fisher International UK have been ordered for $ 282 mill with AMC. The DSRVs will a need a mother ship with hyperbaric chambers. Six SSNs, six conventional submarines in Project 75I, four LPDs and four support (tanker) vessels have been sanctioned by the Defence Acquisition Council (DAC) and funds have been sanctioned for studies for a future aircraft carrier, which USA supports for export of its Electro-Magnetic aircraft launch system e-MALS by General Atomics of USA entering service. This, with two new naval bases in construction in phases at Karwar and South of Vishakapatnam is the futuristic challenge that Naval technologists have to grapple within timelines and economy. 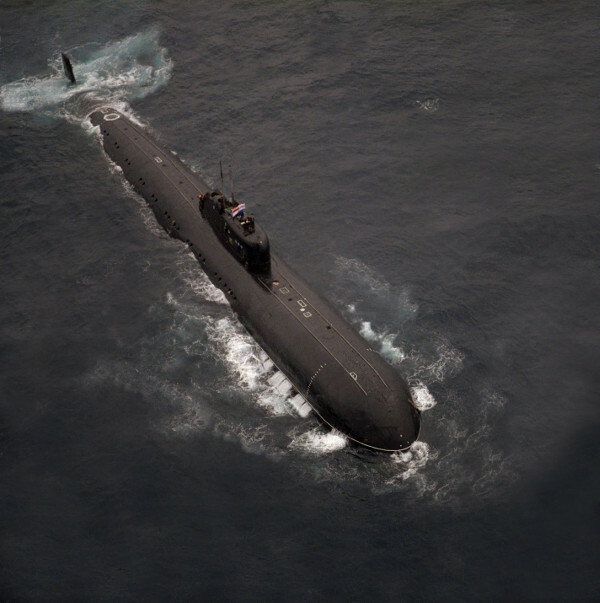 Since the early 1970s Indian Navy has subscribed to learn and employ nuclear power for submarines by leasing two nuclear Chakras from Russia for Navy’s learning steps. Professor Gabler’s Submarine Design Institute at Kiel and Lubeck in Germany and Krilov near Moscow that trained officers and crews at Vladivostok deserve credit. Arihant construction directed from the ATV (Akanksha) HQ in Delhi with financial autonomy under DRDO and PMO funding with support from Defence Material Development Establishment (DMDE) at Hyderabad, Ship Building Centre (SBC) at Vishakhapatnam, Submarine Design Group (SDG) and Director General Naval Design (DGND) in Delhi, Prototype Training Centre (PTC ) called S1 at Kalpakam and Machinery Test Centre (MTC ) all under naval command with design engineering and support has arrived with nuclear safeguards and is a story in itself which needs publicity. 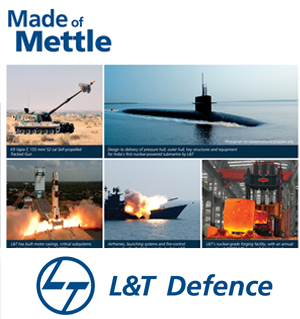 Many of the vendors that displayed products supplied at DEFEXPO-16 at Goa showed how 60% of the nuclear submarine is Indian supplied, The next two will have greater content. The success in Arihant’s nuclear reactor has given speculation that India’s future 65,000 tons aircraft to be named Vishal may be nuclear powered, as USA wishes to offer EMALS aircraft launch systems and technology from Atomics of USA. This needs debate by technical and operator officers as nuclear propulsion is expensive and nascent in India and India’s fuel is still low HEU and the carrier will need refueling unlike USA with uses 95% HEU. Arihant’s cost is not disclosed but UK and France have rejected nuclear propulsion for carriers for costs and even a slight non compliance of AERB and Navy’s regulations for nuclear safety can restrict a nuclear propelled ship from sailing. With 13 HEU twin reactor carriers and 65 submarines US Navy can afford one unit not sailing, but India needs to debate and possibly rule out nuclear propulsion for Vishal for its costs and as Navy will have only three carriers for a few decades.